If you're into role-playing then DiceX can make a nice complement to your games. This application lets you extensively customize your dices. We liked how the interface was organized and how well you can adjust different settings. DiceX lets you set full rolls, die count or sides per die. You can also modify penalties and bonuses and set rerolling under or over. The application has a log function to keep track of all of your changes. New features: Made “Main Interface” pane larger to accommodate easier viewing of multiple rolls. Fixed a bug with logging of percentile rolls. Added percentile roll support to the log export functionality. Moved the Summary to a drawer. Fixed some issues with the summary not updating properly. 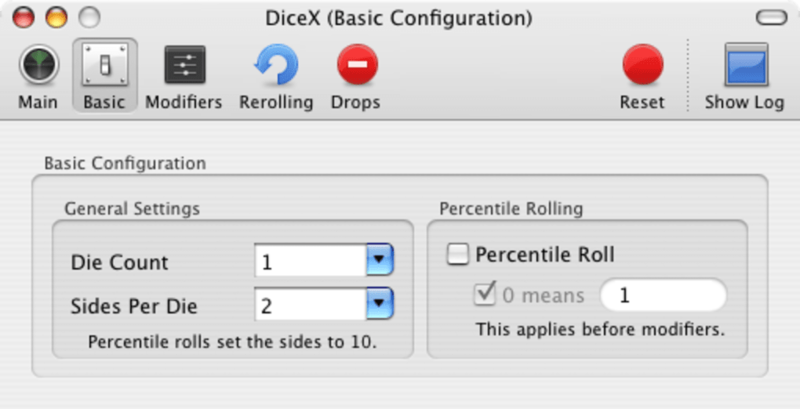 Fixed a bug with the enabling and disabling of percentile roll settings. 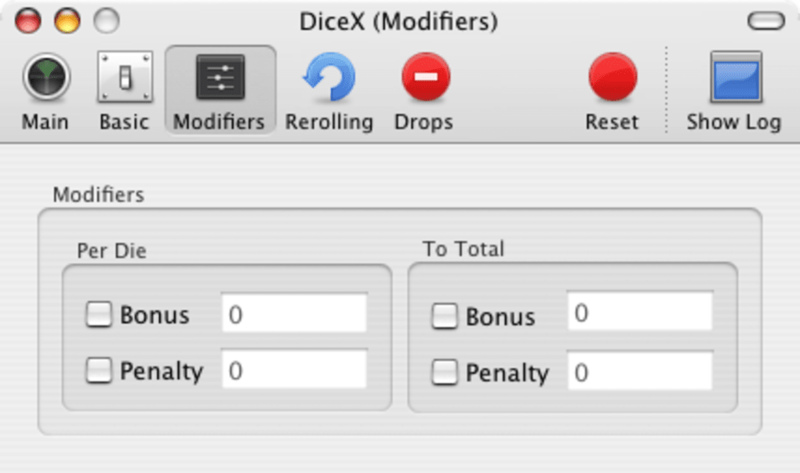 DiceX is a free Cocoa dice-roller for role-playing games. 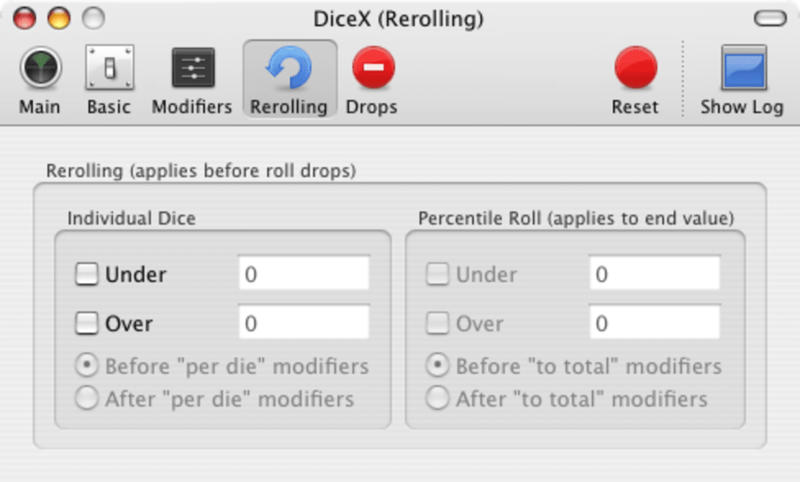 Features include options for multiple low-roll and high-roll drops, “per die” and “to total” bonus and penalty modifiers, rerolling (under and/or over specified values), and a log window that displays a breakdown of each roll. What do you think about DiceX? Do you recommend it? Why?